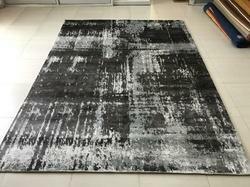 We are engaged in manufacturing and exporting a large gamut of high quality Handloom Printed Carpets. E have made ue of the 100% pure cotton fabric and other raw material in fabrication of thee carpet, which make them more durable and provide optimum strength to them. These carpets are available in varied design, shapes and weights as per the clients’ diverse requirements. we offer our exclusive range at mot feasible rate. Packaging Details: 3 layers of packaging , with customers label stitched . Clients can avail an extensive range of PRINTED Carpets In Check Design from us. These carpets are designed using optimum quality fabrics and modern technologies, which enhance their durability and provide high strength. These carpets do not require extra and regular maintenance. We have developed our range in accordance with the international quality standards and norms. The range offered by us is available in varied specifications. Looking for Printed Carpets ?